It’s no secret that spring is a busy time for landscapers – with clean-ups, mulching and lawns kicking into gear. However, some projects are best done in the hot, dry summer months. While lawns and new plantings have a tough time putting down roots in the summer, two of the best summer landscaping services are hardscaping and irrigation. “Hardscaping” relates to any outdoor creation that utilizes stone or other inanimate materials. Patios, walkways, steps, and retaining walls are all examples of hardscaping. Patios in particular are excellent places to entertain guests or just spend a quiet evening. Patio installers know that summer is the best time to build a hardscape because the blazing sun dries the construction sand quickly, making it a lot easier to work with. We install a lot of irrigation systems in the summer. Another concern in the summer months is keeping your plants and lawn hydrated. Grass, trees and shrubs that are drought-stressed go into a temporary state of hibernation. They begin consuming the little bit of moisture that’s left in the foliage to survive until fall when cooler temperatures means dew and to begin hydrating the plants. Irrigation systems grow super-roots! An irrigation system disperses a calibrated amount of water across an area using sprinklers and drip lines to provide a hands-off watering solution. 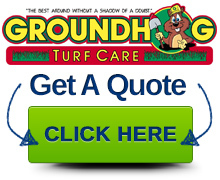 The ground never dries out which means your lawn, and shrubs have established a healthy root system. Healthy plants resist insects better and can tolerate winter’s fluctuating temperatures better than a plant that is drought-stressed. 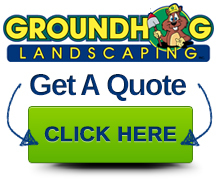 Groundhog Landscaping offers both hardscape and irrigation services throughout New Hampshire. We’d be more than happy to talk to you about seeing your dream project realized and keep your property looking it’s best…without a shadow of a doubt!